How Will the Asian Economic Crisis Affect Your Exports? There’s no doubt that exports are very important to the growth and prosperity of the United States — and to companies like yours. However, succeeding internationally in today’s rapidly changing global environment is not easy. Economic conditions, government policies and the level of confidence in a given currency can change rapidly. Successfully adapting to these changes is not only important — it’s vital. The full impact of the Asian economic crisis on U.S. exporters is yet to be seen. However, given your level of export dependency on the region, it may be necessary to focus on new markets and favor more secure methods of payment. During the past decade, U.S. exports of goods and services accounted for one-third of U.S. economic growth. In 1997, they exceeded $930 billion. This sustained 12 million U.S. jobs that pay 10% to 15% more than the average wage. Furthermore, companies that export expand their employment base approximately 20% faster than others, and are 10% less likely to fail. A primary economic goal of the United States is to maintain a high and rising standard of living. In order to achieve this, the United States, which accounts for only 4% of the world’s population, needs to sell to the other 96%. This year, U.S. exports to East Asia are anticipated to decrease. How much is unknown at this time. As logic follows, certain regions that are more dependent on exports to East Asia will be affected to a greater extent than regions that are less dependent. Western states, such as Washington, Oregon, Arizona, California, and Alaska, are expected to be affected the most, due to their higher concentration of exports to East Asia which include aircraft, semiconductors, electrical equipment, and processed foods. In 1996 (most recent available statistics), 29% of U.S. merchandise exports were shipped to the “Asian 10,” which is comprised of China, Hong Kong, Indonesia, Japan, Malaysia, Philippines, Singapore, South Korea, Taiwan, and Thailand. Of these countries, the economic crisis more severely affected Indonesia, Thailand, Malaysia, Philippines, and South Korea, whose currencies experienced significant devaluations. 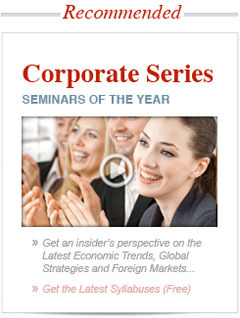 (See the Asian Crisis Homepage on page 3). Eight states, however, exported at least 50% of their goods to the “Asian 10” in 1996. New Mexico exported 68.8% of its goods there; followed by Hawaii with 64.6%; Oregon, 63.9%; Alaska, 57.9%; Nebraska, 55.7%; Washington, 54.6%; California, 51.9%; and Idaho, 50%. California was the biggest global exporter by far among all U.S. states. And the “Asian 10” are among California’s top 22 export destinations. As a result, the Asian weakening demand for imports will impact California to a greater extent than many other states. Latin American countries rank high on Florida’s export destination list. Comparatively, Asian countries do not, indicating less dependence on the region. Of the “Asian 10,” only Japan, China and South Korea ranked in Florida’s top 22 export destinations in 1996. Consequently, only 10.6% of Florida’s goods were exported there — limiting its exposure. Contingent on your level of export dependency on East Asia, it may be necessary to create a new export strategy that allocates resources to developing new export markets. But keep in mind that other exporters will be attempting to sell their products originally destined to East Asia elsewhere. This will increase the degree of competition you may face. Additionally, Asian instability can increase your receivable risks. As a result, you may wish to consider using letters of credit and credit insurance for your exports.